Where have we been? 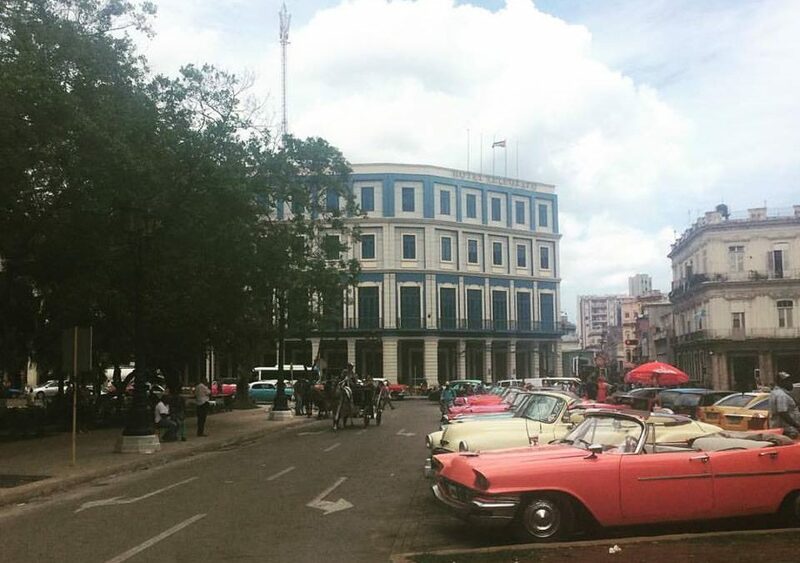 Bikes, Cuba and what is next - Nerds Abroad, Inc.
What is coming up for Nerds Abroad? Since the start of the summer, Nerds Abroad has been busy selling the ebikes that were generously donated to us. We have just a few bikes left and will give a final report of our outcomes in a few weeks! During this same time, we (Ashley and Stephen) spent a few weeks in the Caribbean visiting Cuba, Dominican Republic, Puerto Rico, and Southern Florida. I (Stephen) will share a few of my observations about two of the main places we visited, Cuba and Dominican Republic. During the end of the Obama administration, relations between the US and Cuba were normalized. Before this time, any American Citizen wanting to visit Cuba would need to choose one of 12 categories with strict approval from the US government to go. Now, one must still choose one of these categories, but regulations over enforcement has become very relaxed. Because of this, there are a lot of Americans visiting Cuba to see what life is like in the country. When we landed, we were picked up in a 1950 Pontiac Sedan. Driving into Havana, life looked as if it slowed down, maybe what it looked like in the 1960s. Cuba is still a 1-party communist state, with the centrally-planned government controlling a lot of everyday life. When we arrived at our Airbnb, I asked about wifi and was told that there was no internet inside of houses. And they were right, internet is purchased for ~$2-$3 for 1 hour at a time, and must be accessed in a large hotel or a public park. Many Cubans can’t afford internet access as the official wage for the country is $25/month. It wasn’t long ago when Cubans were able to purchase a personal computer for the first time. It is hard to imagine what this would be like in our lives when many of us are constantly connected online. Over time, I believe internet access will increase for Cuban citizens, likely via the smart phones and tablets I saw in use in many of the places we accessed the internet. It will be interesting to see how this impacts the entrepreneurial culture of the country. We did experience “offers” many places in the country, so entrepreneurship is alive and well and with increased connectivity, this will continue to strengthen. Driving down the Malecon in a 1957 drop-top Chevy is a memory I will never, ever forget. We visited the Museum of the Revolution, walked the streets of Trinidad historic district, went to some incredible beaches, rode a horse through Vinales National Park and enjoyed the local gastronomy. I strongly recommend everyone to visit Cuba to see what life is like, to meet the incredible people, and to experience a totally different system of business. Besides one Adidas store, I did not see any brands. None. Cuba has their own brands for almost everything. I think this may be changing in the next decade but for now, it was a very strange sight to see. On the eastern side of the island of Hispanola, the Dominican Republic is one the fastest growing economies in the Americas. Coming from Cuba, where we had extremely limited connection with the outside world, the Dominican Republic seemed like most connected country I’ve been to. The airline magazine I read coming into the country noted that more than 90% of the country has a smart phone and almost everyone has a Facebook account. We arrived and our taxi to the northern part of the country had a 4G hotspot our driver let us use. My T-Mobile phone immediately worked (for free, even) and had excellent coverage everywhere we went. I learned that their telecom system 100% interfaces with the US system in setup and connectivity. International firms are attracted to the DR because of their strong communications systems. It was so opposite of Cuba, even though it was just a 2 hour plane ride from Havana. I was sadly very sick from drinking tainted ice in Cuba, so our first few days were spent inside and not exploring the incredible beauty of Jarabacoa. This gave me a chance to learn about the entrepreneurial culture and infrastructure of the country. One thing we learned that just about anything can be delivered by motorcycle to our location, so getting medication or food was very easy. We spent some time in the Capital – Santo Domingo – and saw some amazingly huge malls, huge businesses, and luxury car dealers. We explored the incredible historic district, the oldest in the Americas. Dominican Republic was an incredible place to visit and has strong technology infrastructure and entrepreneurial culture. Nerds Abroad is looking to transition to more of a consultative role in our programming within the next several months. We are still researching how best we can support our partners and our community and there will be some announcements here shortly about what is coming next. We are excited about the ideas we will share with you all! If your organization is looking to expand or create a technology program, shoot us an email, we would love to get in touch!